Next week in Iceland RIMC 2014 kicks off. And this is a special year because organiser Kristjan Hauksson is going all the way to make it an event which everyone will remember. Next to the awards for the European Searchawards there will also be a group of great speakers present, most of them from big brands, because that is the setting this year: big brands. 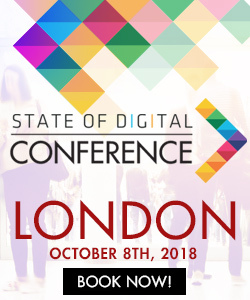 State of Digital is a media partner and in the run up to the event we are talking to some of the speakers by asking them questions about their jobs, their talks and their expectations. You can read the interview with Jan Gronbech of Google here. The next interview is with Matthias Fredrick. He is not just a speaker, but a very special one. Matthias creates videos. 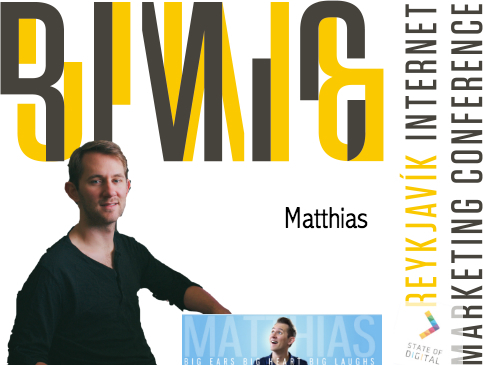 But not just any video types, very popular videos which almost go viral as soon as Matthias hits the publish-button. His most famous one is probably the ‘Introducing the iPhone 5S’-video (which you can see below). How he does his job he will tell us at RIMC. For now we get to ask him some questions! Like Matthias’ desk? Tweet it to him! 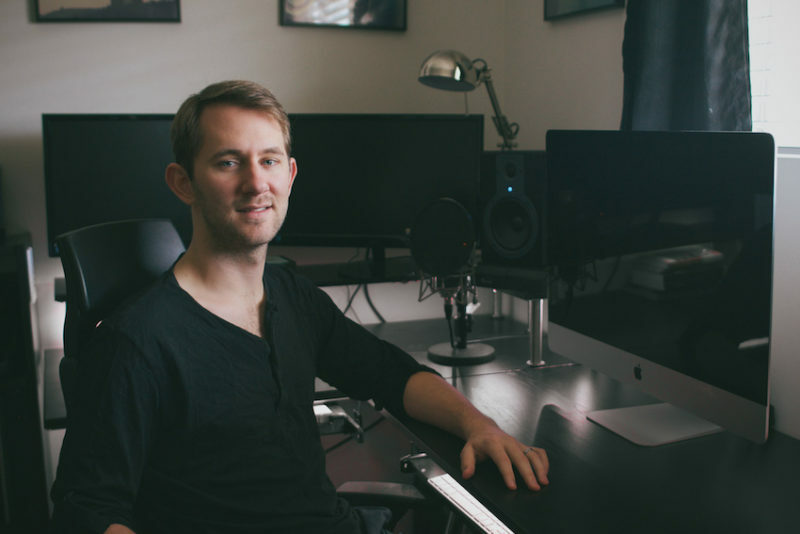 Nice desk you have there @MatthiasIam! How would you summarize your role? My role varies depending on what I need. I’ve learned that specializing in one thing alone is a dangerous game to play in a space that is rapidly and aggressively changing. Knowledge and experience can become irrelevant in an instant if you are too focused. I try to wear many hats and constantly learn new trades, whether it’s directing, writing, photography, or visual effects and music. In this ever changing digital space, it becomes more apparent to me that more infrastructure and filling more arbitrary positions are not needed to reach and service millions of customers. The best part of what I do is experimentation. 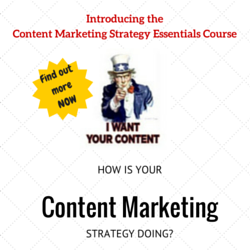 Finding new ways to reach a large audience is an exciting and challenging endeavor. Some of my most successful campaigns were experiments I thought might prove profitable. However, there is nothing more rewarding than seeing an appreciation for content you put your heart into. What is it like working for a brand like yours? Working in a visual medium already has some allure associated with it. Entertainment has always intrigued many people. It’s a lot of hard work and long hours, but the reward is grand. I imagine the fascination behind the medium brings more willful interns then say, an accounting firm. What other brands do you look at for learning? Apple. I learn a great deal studying this particular company. Ignoring the fact that Apple sells consumer electronics and I create entertainment, the company’s strategies should be studied regardless of the industry you work in. They have an uncanny ability to predict and deliver what it is their audience wants, before they even knew they wanted it. What is the biggest change in digital you had to deal with ? In my particular industry, change is something that happens quite frequently. Anytime YouTube so much as changes the placement of a button on their site, it could mean drastic changes to my methods and the end result. I find big changes that affect me quite frequently in this space, and have become accustomed to adapting to them. Typically however, when YouTube alters their algorithms that judge user interest and engagement, that usually means an entire overhaul of my system is necessary for growth to continue. What will you be talking about in Iceland at RIMC? YouTube is a brilliant place to market and advertise. There are great opportunities to experiment with your brand or product. How often do you get the chance to shape the way a new industry is forming? Right now, we are in the golden age of YouTube advertising. I will be talking a lot about the potential behind the YouTube platform, and some of my methods in ensuring a campaigns success. What are you most looking forward to in Iceland? The opportunity is exciting because of so many different prospects. Adventure, exploration, new people, new places, and new ideas. A better recipe couldn’t be concocted. What is your top tip for success in digital marketing? I think something that is overlooked far too often in digital marketing is user engagement. Too many brands and companies see digital marketing as a way to use their normal strategies with a lower overhead. However, the digital space provides many more rewarding opportunities for those that choose to think outside the box. RIMC Iceland is coming up next week, are you going? Tweet it! Are you not going? Tweet you want to! I’m going to Iceland next week for RIMC 2014, really looking forward to it! I so wish I was going to Iceland next week for RIMC 2014 and EUSA 2014!